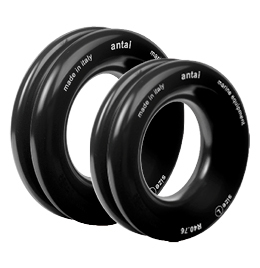 Low friction rings are at the heart of Soft links. 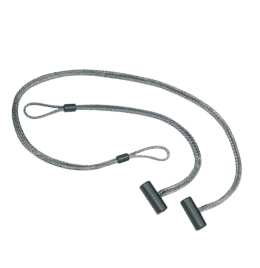 Simple, lightweight and resistant Rings, together with more sophisticated products, such as Solid rings and Hooks, revolutionized the way we design fixed and running rigging on sailboats, and not only on sailboats. 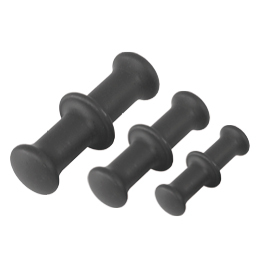 Thanks to the perfect polishing Soft links give extremely low friction. Thanks to their simplicity they cut prices down and require absolutely no maintenance. The universal solution. The first of Soft links’ characteristics is versatility. I can use a Ring as barber, or lazy jack. 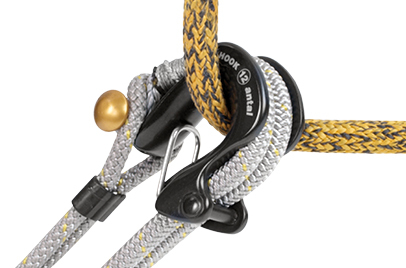 On the backstay bridle instead of a sheave or for 8:1 control systems. 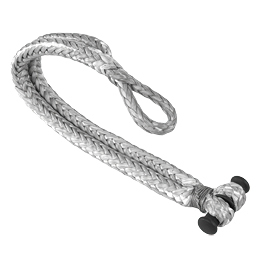 For reefing or 3D genoa adjusting. And obviously, as a block. 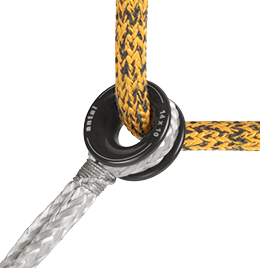 Among Soft links of the kind of Rings and Dyneema loops Antal realizes Low friction rings, Rings and loop, Solid Rings, Hooks, Dyneema loops and Dog bones. 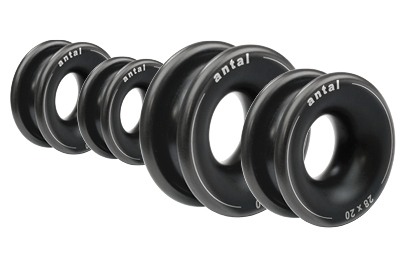 Six models with holes from 7 to 38 mm, the simplest idea for maximum load and minimum weight. 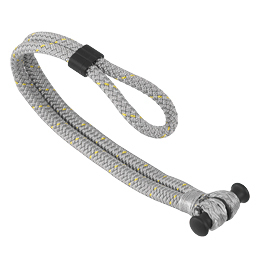 It can be easily “hooked” to a genoa or a spinnaker sheet: the lightest and strongest solution for a line control.